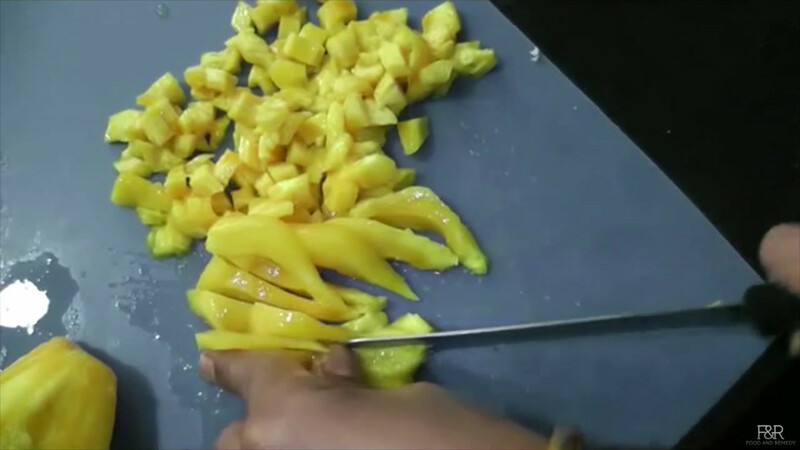 Remove the seeds and keep 6 jackfruits ready to cut. 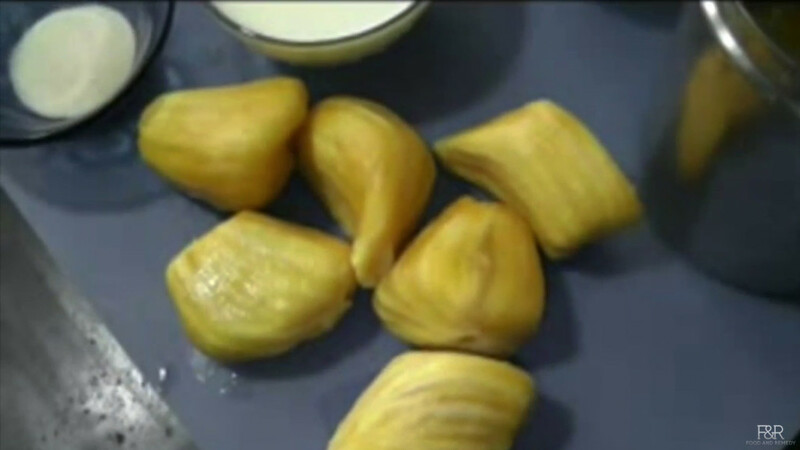 Cut them into small cubes as shown. Keep a thick bottom pan on a medium high heat and dry roast the rave( until it turns golden brown) and keep it aside. 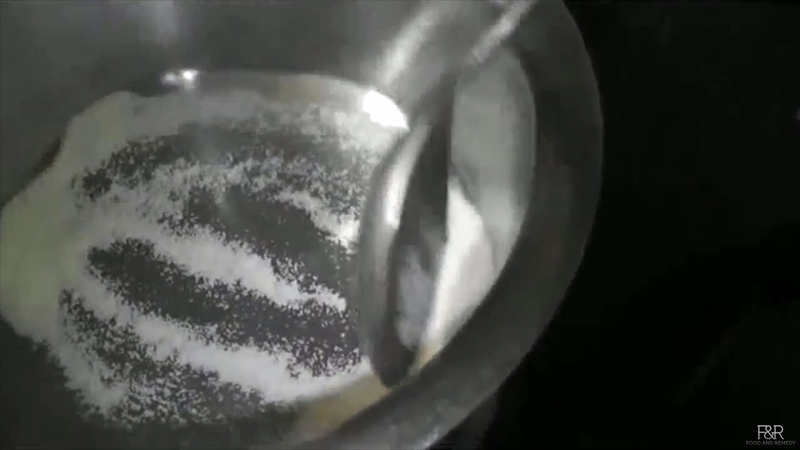 Keep the same pan back and add 1 tea spoon of ghee. Fry almonds, cashews and raisins until they are done. Transfer it on to a plate. 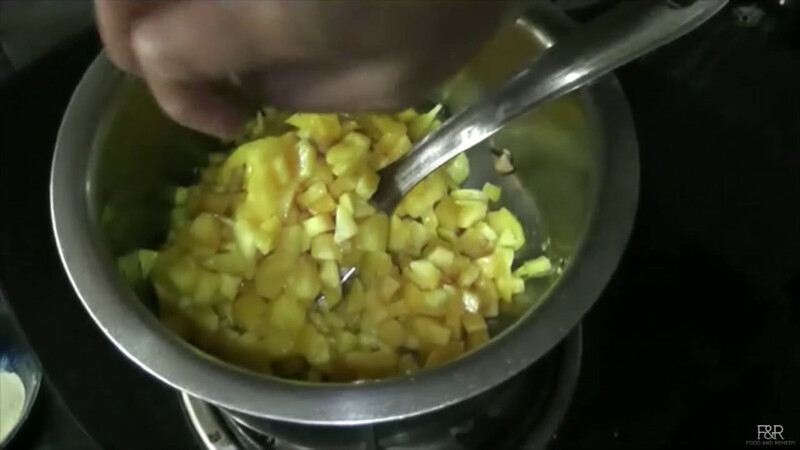 To the same pan add more ghee, one it is hot enough add the cut jackfruit pieces. 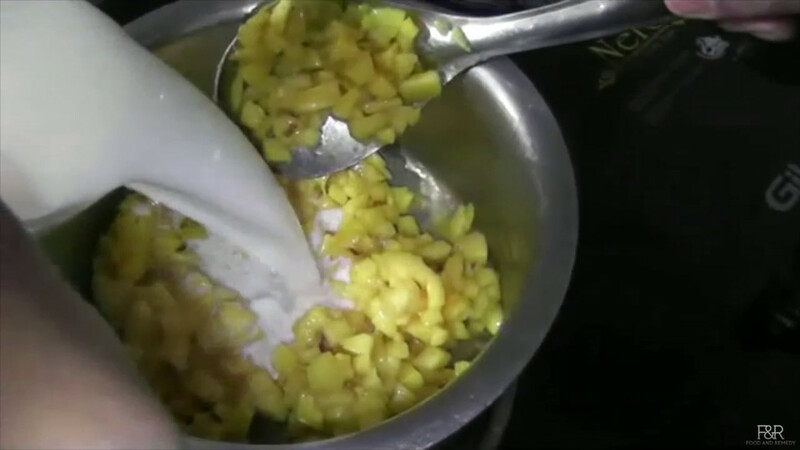 Fry it for few minutes ( 4 to 5 minutes). 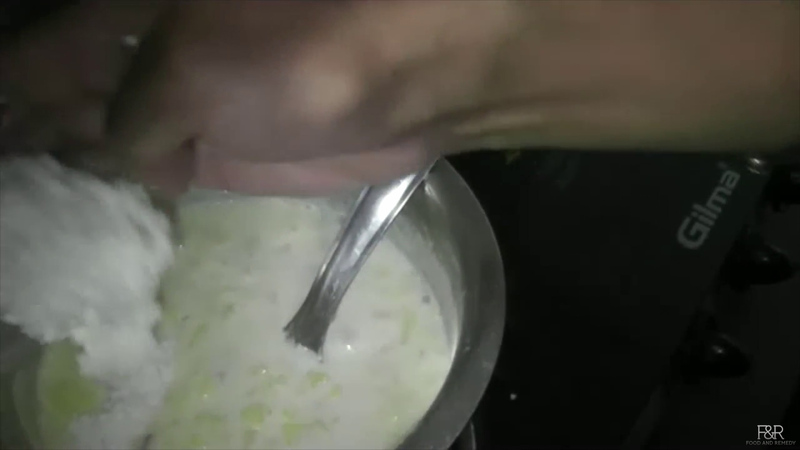 Now add the milk and allow it to boil. 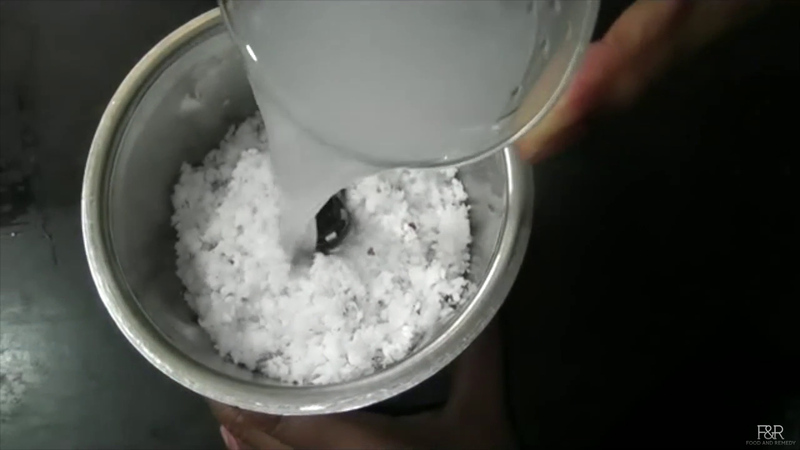 Meanwhile grind coconut along with 1/4 cup of water to a fine paste. 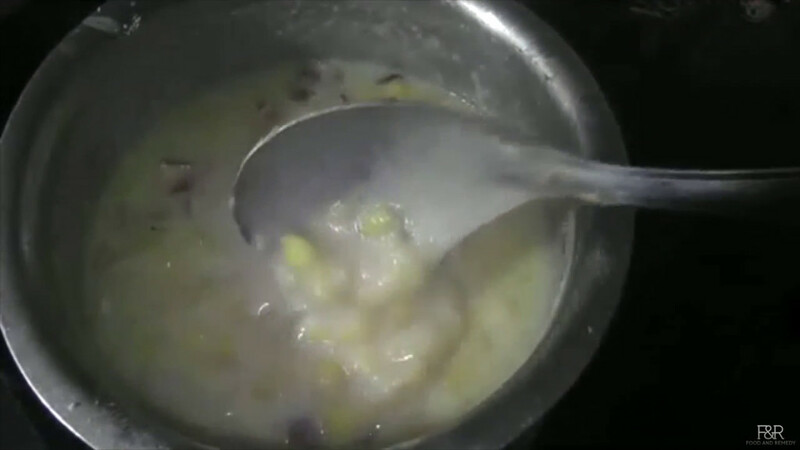 Once the milk starts boiling, add roasted rave and mix it well. 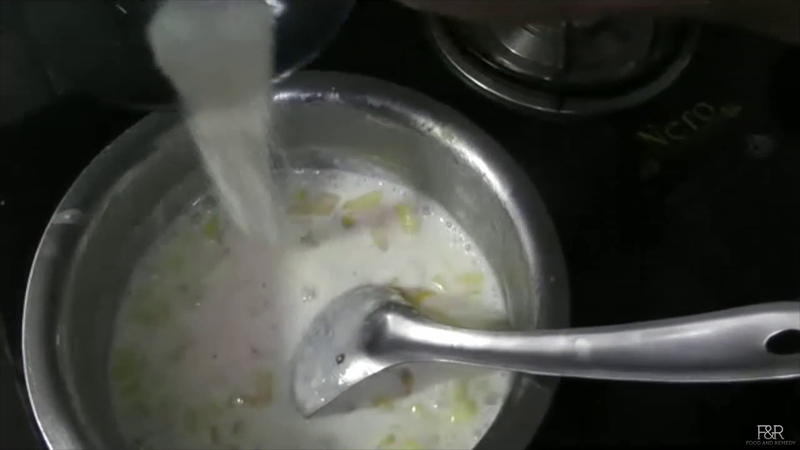 After 2 minutes add the coconut paste . Also add little water to the jar and add that water too. 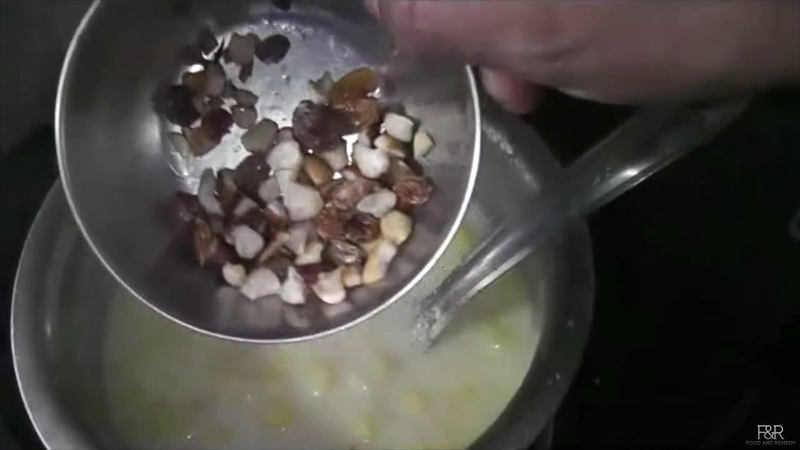 Now add the jaggery and mix it and let it boil on a medium low heat. Don't forget to stir continuously. After 5 minutes turn off the heat. 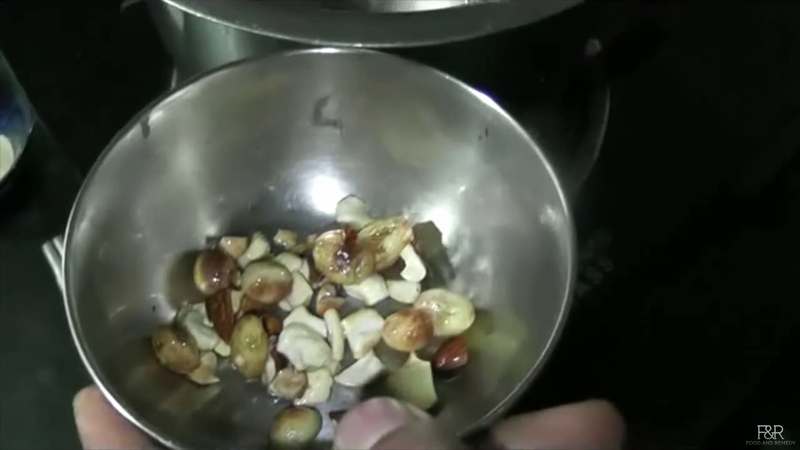 Add cardamom powder and the fried raisins, cashews and almonds. Mix it. 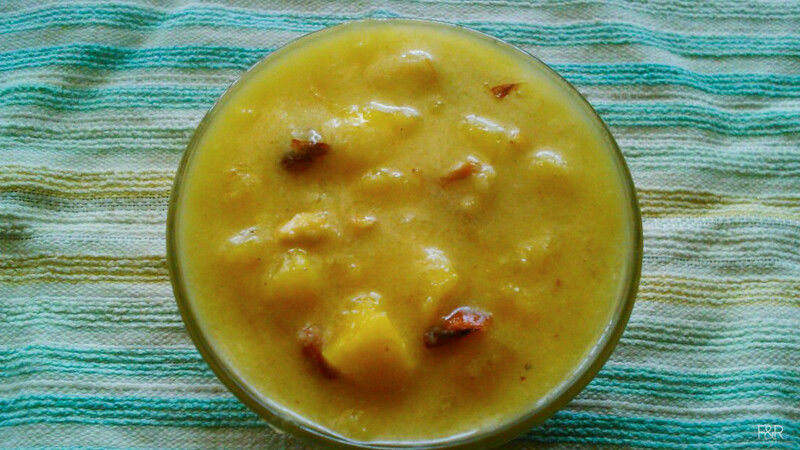 Now the delicious payasam is ready to serve. 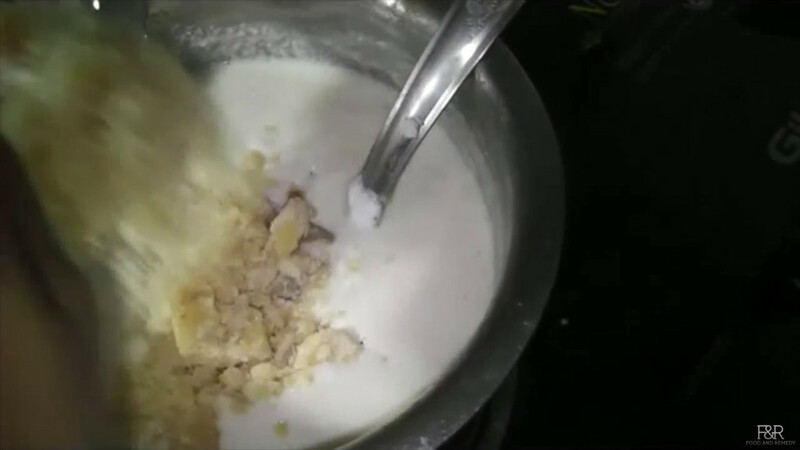 If you want payasam/kheer to be more on liquid side add more milk.